Fred Zülli is the founder and Managing Director of Mibelle Biochemistry. In 1991, he came up with the idea of developing high quality, scientific ingredients for the cosmetic industry based on novel biochemical concepts for the skin. He has since expanded the business and enriched Mibelle Biochemistry’s product portfolio with pioneering product ideas based on the motto “innovating for your success”. Cornelia Schürch is Head of Development and Compliance and has been working at Mibelle Biochemistry since 2002. Her responsibilities include the management of product developments as well as those of a regulatory nature. She and her team ensure that Mibelle Biochemistry’s actives are developed using profound know-how and consistently high quality. Esther Belser joined Mibelle Biochemistry in 1998. Her role is to define the overall marketing and communication concepts of the company. With her team, she is responsible for all marketing activities. Michael Müller and his team are in charge of production and worldwide distribution, while he is also responsible for infrastructure and the implementation of new technologies. Mibelle Biochemistry Switzerland designs and develops unique, high-quality actives for the beauty industry which are based on naturally derived compounds and extensive scientific expertise. This independent business unit within the Mibelle Group was founded in 1991 by Dr. Fred Zülli in Buchs, Switzerland. In a short period of time, Mibelle Biochemistry has developed an excellent reputation throughout the world as a creator of innovative active ingredient concepts as well as being a real expert in the fields of biotechnology and biochemistry. Its broad line of actives is available in more than fifty different countries around the globe. 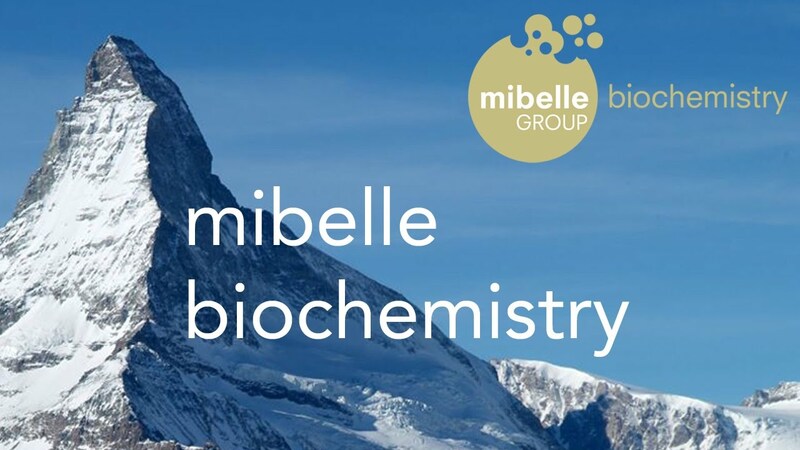 Mibelle Biochemistry operates independently within the Mibelle Group, which is the largest manufacturer of cosmetic end products in Switzerland. The Mibelle Group belongs to Migros, Switzerland’s largest retailer, which has over 94,000 employees. In 1925, Gottlieb Duttweiler founded Migros as a cooperative characterized by a unique social concept. All of our actives are supported by a biochemical concept, clinical studies – in vitro and in vivo – and considerable marketing documentation, which includes convincing selling tools, formulation guidelines and advantageous claim substantiation. Being both comprehensive and comprehensible, our sales package is highly educational, and it supports our customers in positioning their products with the highest market impact. In addition, for most of our actives, we have scientific publications and patents in place. Our sustainability commitment is established in the core business and is being systematically developed further. Our customers thus gain the certainty that their products are always up-to-date ecologically. In addition to the pure product performance, we as a supplier and service provider thus also improve the sustainability performance of our customers, e.g. through improvement of the ecological footprint of their products, and thus pave the way for the long-term entrepreneurial success of our business partners. Protection of the biodiversity and preservation of rare and protected plants: An extremely small amount of plant material (e.g. a fruit or a leaf) is needed to establish a plant stem cell line. No competition for space: Agricultural land remains available for the cultivation of food as no valuable cultivated land is required for the production of bio mass. Significantly reduced water consumption compared to the conventional cultivation of plants. 100% naturally pure: No use of fertilizers, pesticides or other chemicals. The PhytoCellTec™ technology, which was recognized at the Rio20+ Sustainability Conference 2012 in Brazil as an Eco breakthrough, delivers a highly sustainable sourcing of this active. For further information: PhytoCellTec™. Mibelle has an ISO 14001:2004 certified environmental management system. Innovation is at the heart of everything we do. Based on profound scientific expertise, we encourage our team to challenge themselves and continually develop new ideas. The scouting of trends, understanding the core values of the marketplace, the monitoring of scientific and technological developments, and close collaborations with dermatologists, universities and clinical test institutes, are essential to ensure that we fully understand the changing requirements of the consumer. We are passionate about delivering the most professional levels of customer consultation and ensuring that every aspect of our service is undertaken in a timely and efficient manner. Meeting the highest standards of ingenious, solid research, the very latest technology, advanced education and rigorous quality procedures, ensure that we develop actives of the very highest quality with guaranteed availability. Designing, developing and producing under the same roof improves overall efficiency and ensures a dynamic exchange of inspiration and knowledge amongst our skilled and passionate staff. It also grants accuracy, timely production, consistently outstanding quality, and constant availability. Flexible and dynamic processes enable our team to handle different production sizes both efficiently and in time. The basis under which we manufacture these Swiss quality products is the ISO 9001: 2008 certification. Since the very first innovations that marked our company’s formation, committing to a sustainable technology approach, green chemistry and focusing on the ecosystem throughout the life cycle of our products, has enabled us to design actives responsibly, both now and in the future.